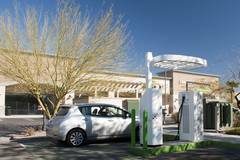 All new large commercial projects along major travel corridors should install ultrafast-charging stations for electrical vehicles. These will serve the developers own commercial interest as well as the public's interest in expanded EV infrastructure. With the increasing sales of mass-market EVs in California, the current and near-term charging networks will be hard-pressed to keep up with demand. There remain too few stations, with too few charging kiosks, at too low charging power to efficiently serve the EVs that will be on the street in the next 18 months. 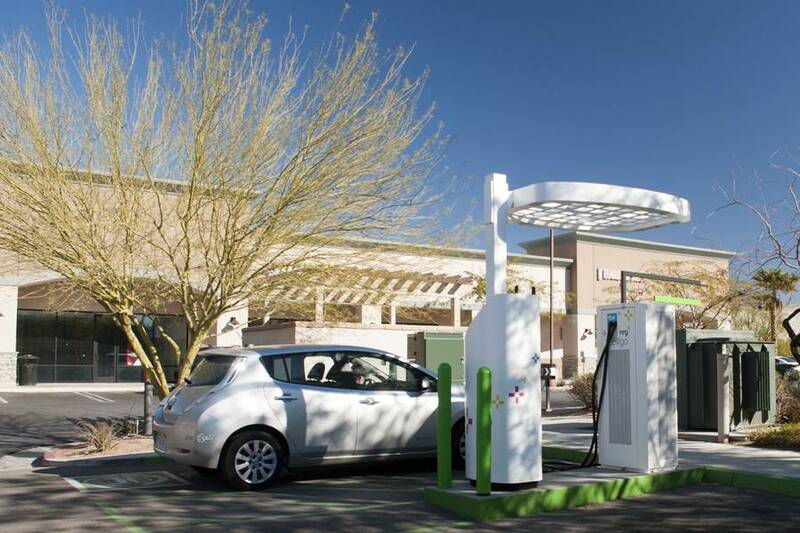 Most current charging stations for non-Tesla vehicles include at most two charging kiosks that can service either CCS (Combined Charging Standard) or the CHAdeMO standard. Most new charging kiosks provide both standards on one kiosk even though only one vehicle can charge at each kiosk. Today, each kiosk can charge at no more than 50 kW. It takes more than an hour at one of these stations to charge the large-capacity EVs that have become the norm. The combination of a limited number of stations with only two charging kiosks at each station and large capacity batteries on each vehicle that is trying to charge is leading to delays in charging. Drivers are forced to queue for access to the next available charger when charge stations are busy. This increases the delay drivers face when charging. Such delays may discourage more EV adoption. California needs more stations, with more kiosks at each station, and a higher throughput at each kiosk to meet its ambitious EV targets. One important means to increase the throughput at each charging kiosk is step up the charging power at the kiosk. With higher power, the station charges an EV quicker, and the driver can move on, freeing up the kiosk for the next driver. Tesla's superchargers charge at nominally 125 kW. New EVs entering the market may soon be capable of charging at 200 or more kW. A 200 kW kiosk will charge today's large capacity batteries in one-fourth the time of today's common 50 kW charging kiosk. Thus, a 200 kW charging kiosk can move four EVs through in the time it would take to charge just one EV with today's low-power fast chargers. Most DCFC stations today have two or fewer charging kiosks. This doesn't provide much redundancy should one of the kiosks fail. When a kiosk fails, EV drivers are again force to queue for the one remaining kiosk. Tesla's supercharger stations include multiple charging kiosks. The supercharger in Kettleman City has 40 kiosks as does the Tesla station in Baker. All new DCFC stations for CCS and CHAdeMO should have multiple charging kiosks. Recargo's station at the Prunedale Shopping Center has 6 charging stalls. EV charging stations located near the entrance to buildings are often unusable because conventional vehicles park in the charging stalls regardless of any signage to the contrary. When the stall is occupied, the EV can't charge because the cable can't reach the vehicle. Thus, DCFC stalls should not be located near the entrance of commercial buildings. Instead the kiosks should be at the back of parking lots or away from heavily trafficked locations near commercial buildings. EV charging stalls distant from the building's entrance reduces the risk that a non-electric vehicle will occupy a valuable charging spot.